Chrichton's World: Review Extraordinary Mission a.k.a. Fei fan ren wu (2017): Stick with it and it will reward you! Review Extraordinary Mission a.k.a. Fei fan ren wu (2017): Stick with it and it will reward you! In my search for older and newer heroic bloodshed titles I came across this title. Extraordinary Mission does feature some elements but it has more common with Infernal Affairs than let's say A Better Tomorrow. Since it does take the film give around 80 minutes to get to the sizzling action sequences. In these 80 minutes you get served an undercover cop thriller that has been done to death. But it was effective enough in relation to the action in the finale. The film makes sure it hits the right notes in the dramatic interactions the main characters have. However I do have to state that it really is a story you have seen a million times over. You just have to be in the mood for that kind of thing. I wished they would leave these tropes alone and come up with something new or refreshing. Perhaps one could say that the Chinese propaganda that is heavily present in this film is that fresh element. In this case it's not problematic. Although I am sure some poor souls will take some of the topics discussed as truth. Like Chinese cops and military should be seen as the ultimate protectors of the people. But let us be real here. As everywhere else in the world where drug trafficking is huge people on all sides are involved. And I do I really have to point out that most of the problems regarding drug trade could be eliminated if these drugs were made legal. Huang Xuan as Lin Kai is a very charming lead since he is convincing as the undercover cop who wants to fulfil his duty no matter the costs. It's not explicitly said but you get a real good idea why he is so driven. This is important to know since it makes you care about him. Seems such a simple plot mechanic and yet many modern film makers can't be bothered these days. Fortunately director Alan Mak knows the importance of such mechanics and embraces them fully. The result is a serious tone and tension very similar to that of Infernal Affairs which shouldn't be that surprising since Alan Mak directed that film as well. It is asked of you to endure the slow 80 minutes but then the action is full on. It's exciting and exhilarating and very well choreographed. There were some moments one in particular which are very ludicrous. But they were so much fun that I was very willing to forgive the film makers for their unbridled enthusiasm. Besides with all that seriousness going on it's nice to laugh for a bit. 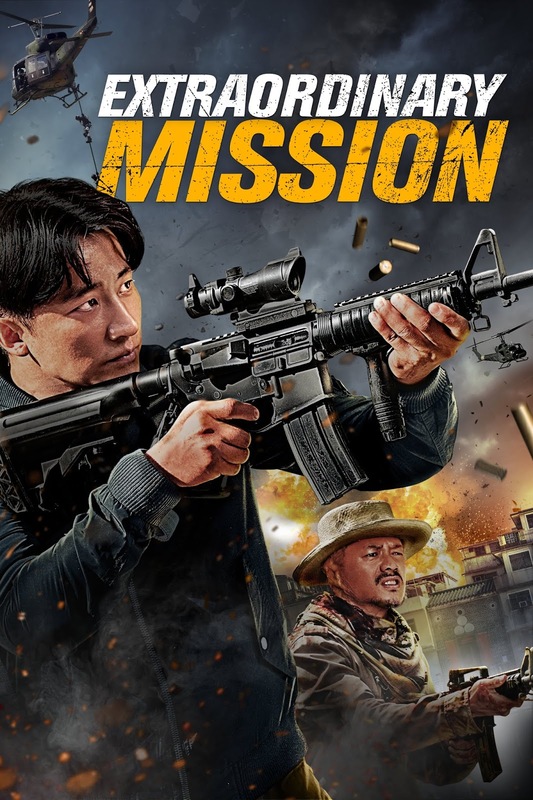 Extraordinary Mission is definitely one of the better Chinese productions recently and I wouldn't mind this getting a sequel.